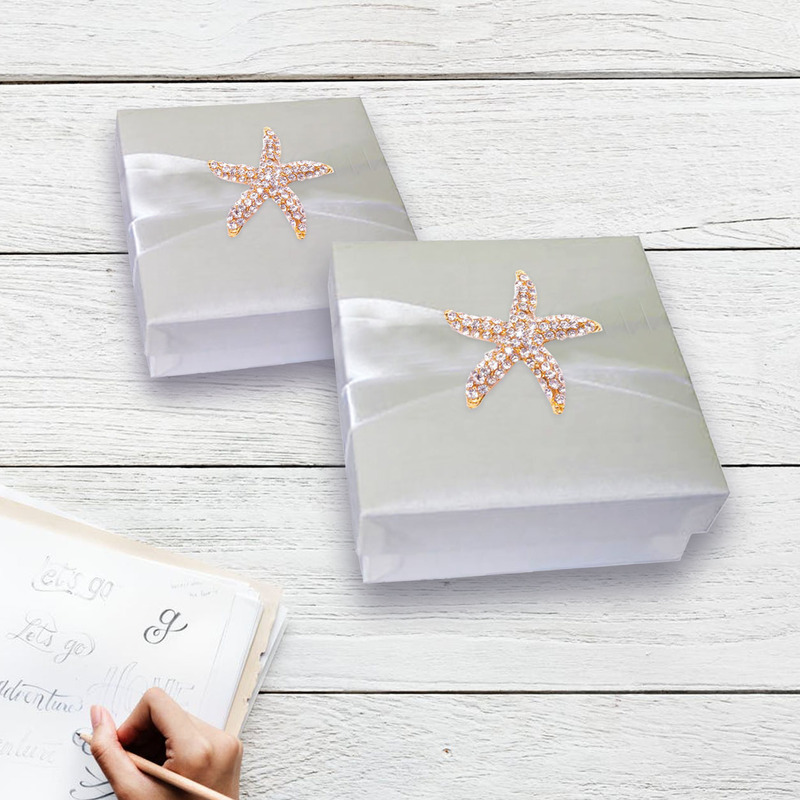 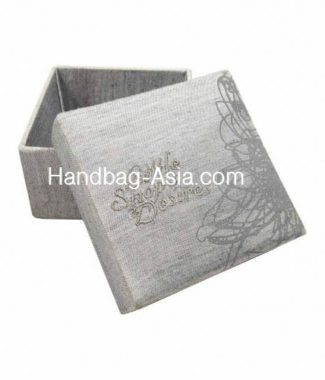 Silk favor box for wedding favors, gifts and corporate accessories. 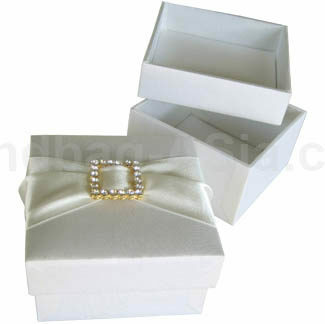 Padded inside and outside, golden crystal buckle in ring form on the padded lid with 2 inches ribbon. 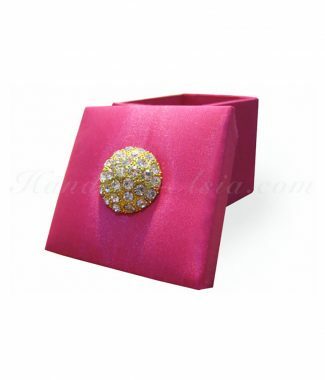 You can choose from various buckle and brooches embellishment.